At the beginning of every spring Northeast Asia is marked by resumed tensions between North and South Korea. Naval clashes in disputed waters, skirmishing across the Demilitarized Zone (DMZ), military drills and strong-worded rhetoric are hardly novel. Nevertheless, this year we are witnessing inter-Korean tensions reaching unprecedented heights. Something that looked like a seasonal aggravation of a slow-motion war now threatens to slip out of control and become a full-scale war between the two halves of the divided peninsula. 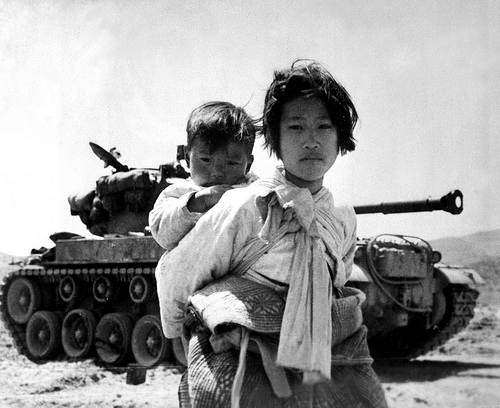 The Korean War, which started in June 1950 as a war to unify Korea, was effectively turned by the UN into an international conflict, where a coalition of sixteen countries, led by the United States, fought North Korea and China. Miraculously the conflict did not explode into World War III where the use of nuclear weapons would have been almost certain. 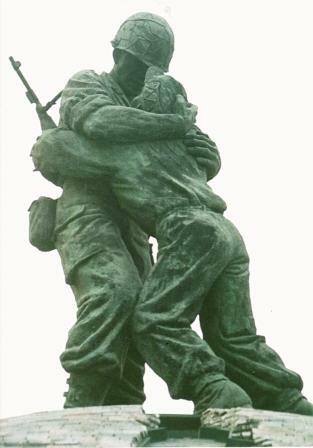 Resulting in a stalemate and fragile truce, the Korean War left behind the two irreconcilable regimes – with capitals in Pyongyang and Seoul – frustrated and increasingly adamant to resume the war and accomplish national unification. Compromise and reconciliation were not in the two Koreas’ political vocabulary until the early 1970s, when the post-war economic development of North and South Korea became comparable. This was when the International Red Cross organisation helped separated families from the North and South meet for the first time since the fratricidal conflict. In 1974 Pyongyang approached Washington with a proposal for a peace treaty; the North Koreans also approached Seoul with a comprehensive plan for peaceful unification. However, the continuing ideological and economic competition of the Cold War in the region precluded the restoration of peace. Since then the Republic of Korea (South Korea) and the US have staged biannual joint military drills, which take place in the West (Yellow) Sea, south of the DMZ, and in the East Sea (Sea of Japan). During these drills, the allies deploy new types of weapons and tactics, including a simulated nuclear strike. Since the collapse of the Communist Bloc, the Democratic People’s Republic of Korea (North Korea) has developed its own nuclear and missile programs as a deterrence. But neither of these preparations have helped resolve the persisting security dilemma. Seoul and Pyongyang continue to see one other as sworn enemies, each waiting for the imminent collapse of the other, providing the opportunity for unification. Even the temporary détente in relations between North and South, known as the decade of the “Sunshine Policy” (1998-2007), did not fully dissipate mistrust and animosity in Korea. Pyongyang continued building its nuclear and missile arsenal, while Seoul continued regular joint military, naval and air drills with its US ally, deploying ever more advanced weapons of mass destruction. As a result, negative inter-dependence has been created in relations between North Korea and US allies in the Asia-Pacific region. North Koreans blame the United States for all its economic misfortunes, while the US and its regional allies, including Australia, always find faults in Pyongyang’s actions and intentions. Last week, after 60 years of slow-motion war thinly covered by the 1953 Armistice Agreement, Pyongyang finally found the courage to call a spade a spade. The ambiguity of the current situation is no longer tolerable for North Koreans, who are tired of sanctions, double standards in international relations, and nuclear bullying. The situation of “neither war nor peace” has already led to famine, stagnation and isolation of this rich and strategically important part of Northeast Asia. By proclaiming a “state of war” with South Korea and the US, Kim Jong-Un is simply reminding the world about this unresolved problem inherited from the Cold War era. Koreans commemorated the tragic beginning of the Korean War (1950–53) on 25 June. What began as a civil war for unification soon escalated into an international war — a protracted Cold War conflict and a surrogate World War III. After 62 years and despite an Armistice Agreement, the conflict shows no signs of ending. The Korean Peninsula’s geopolitical importance and its alliance policies are at the core of the problem. Surrounded by China, Japan and the Russian Far East, Korea is at the centre of Asia. And so, for centuries, policy makers and generals from the neighbouring regional powers have recognised Korea’s strategic importance in the region, prioritising its protection from potential enemies. Relations with its neighbours have typically been unfavourable for Korea. Minor political events on the peninsula have long attracted attention and hasty international reactions. For this reason, Korea has an exceptionally rich and dramatic political history, including four ‘Korean Wars’ since the 16th century. The Imjin War (1592–98) was ‘the first Korean War’, setting the tone for future relations between the combatants. The Imjin war was precipitated by a samurai warlord, Toyotomi Hideyoshi, who intended to conquer China and dominate Asia. He set out to cross into China through the Korean Peninsula, but when Korea refused to give free passage to Japanese troops, it became a target for Hideyoshi’s marauding hordes. The Japanese marched to the Sino–Korean border before China’s Ming dynasty agreed to help Chosun Korea block Hideyoshi’s march. The combined Ming and Chosun armies finally pushed the Japanese out of the peninsula but the war tarnished the reputation of Korea’s powerful ally and destroyed much of Seoul and other parts of Korea. The ‘second Korean War’ was, in fact, the first Sino–Japanese War (1894–95), which saw Korea becoming the primary subject of contention once again. As a newly rising power, Japan wished to protect its own interests and security by either annexing Korea or by ensuring Korea’s independence from other competitors. The Great Korean Empire was founded in 1897, in the aftermath of this ‘second Korean War’. But independent status of the country was not to last: piecemeal domestic reforms and sluggish administration made Korea an easy target for imperialist contest. Russia’s tenuous foothold on Korea was challenged during the Russo–Japanese War (1904–05). Following this ‘third Korean War’ Japan gradually took control of Korean affairs, until 1910, when Korea formally became a Japanese colony. As such, it was forced to serve the economic and military needs of the expanding Japanese empire, but not without opposition: in the subsequent 35 years radical Korean groups continued to resist the Japanese occupation in Manchuria and China, while Korean intellectuals fought a battle against cultural obliteration at home. The fall of Japan at the end of World War II did not lead to Korea being granted its independence immediately. The Soviet Union and the US, the allied powers who had liberated the country, believed Koreans were not yet ready for self-governance and divided the peninsula into two temporary zones of occupation. By that time the Cold War was already emerging, and this ‘temporary’ division of Korea became increasingly consolidated and ideologically cemented. This led to the creation of two antagonistic states in 1948: the Republic of Korea and the Democratic People’s Republic of Korea. The conditions for a civil conflict were ripe, and as soon as US and Russian occupying forces left the country, a new Korean war broke out. The ‘fourth Korean War’, which started on 25 June 1950 with a surprise attack from the North against the South, was an attempt to unify the country, but soon escalated to the level of a proxy World War III, involving some 20 countries. After three years of fratricidal conflict, and despite the strong opposition from the ROK President Rhee Syngman, delegates from North Korea, China and the United Nations Command signed the Armistice Agreement on 27 July 1953. Six decades later, a peace treaty has not yet been formalised. The first step toward ending this fourth Korean War would be for the regional neighbours to formally recognise the two Korean states. Both China and Russia have already established diplomatic and trade relations with South Korea, while continuing to provide economic aid and security assurances to keep North Korea afloat. It is now time for the US and Japan to recognise North Korea, assuage its security concerns and lift economic sanctions. In the meantime, the Korean Peninsula remains a bone of contention among its powerful neighbours. The old system of block alliances persists in the multipolar world of the 21st century, and this is keeping Korea divided. Only when Korea frees itself from the obligations of its allies will East Asia achieve peace and stability. (SBS Film, 06 September 2010) Cinema depicting the Korean War can help raise awareness of the conflict and offer clues to how ultimately Korea might be unified, according to Leonid Petrov, an organiser of the Korean War in Film screening and discussion program. The lion’s share of Australia’s Korean community is from the South; with only about 10,000 of a 125,000-strong Korean population having their roots in North Korea. 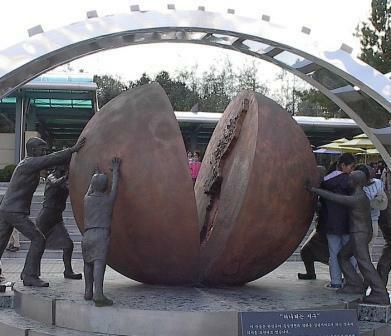 As such, within the local Korean community, perspectives on the 1950-1953 war are largely one-sided. Petrov, who lectures in Korean Studies at the University of Sydney, says many Koreans living in Australia have a somewhat limited knowledge of their nation’s history. Young South Koreans are particularly curious about their past, particularly as North Korea remains isolated to this day, whilst the North-South struggle for State legitimacy continues. Here, Petrov believes “the art of film plays a role”. Organised in conjunction with the Korean Media and Culture Club (KMCC), the Korean War in Film event is taking place over three successive Wednesdays this month, following an earlier round of screenings held in May 2010. Kang Je-gyu’s The Brotherhood of War (2004), the highest-grossing Korean film of all time upon its theatrical release, revolving around two brothers who are drafted into the army by force during the outbreak of the Korean War. Lewis Milestone-directed US film Pork Chop Hill (1959), which depicts the fierce battle fought between the US Army and Chinese and Korean Communist forces at the tail end of the War. 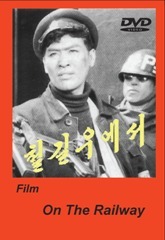 Kim Song Gyo’s On the Railway (1960), a North Korean classic set during the autumn of 1950, when a locomotive engineer is attempting to evacuate precious machinery and equipment during the North Korean retreat. “Until the early ‘90s, the Korean film industry was suppressed, there were only about a dozen films a year and they were underfunded,” Petrov explains. “They managed somehow to produce good quality films, but could not compete with Hollywood blockbusters. Despite this cultural gain, Petrov stresses that a “Cold War structure” remains in the region; not only in Korea but in China and Taiwan and Japan and Russia. Locally, the Korean community is very tight-knit, with organised cultural activity revolving around Korean businesses, Korean newspapers and, especially, the Korean church. Founded by fellow Korean Studies lecturer, Ki-sung Kwak, the KMCC is an informal group that aims to promote Korean culture and foster social interaction through social activities including seminars and film screenings. Less active in recent times, the club held a film festival event in both 2006 and 2007, which received generous support from the Korean consulate. Ki-sung admits it is a challenge to refresh club membership amongst the student base. Aside from students moving on, the proliferation of Korean product available on DVD presents a further challenge to the club. “When we first showed a Korean film here, it was back in 1999,” Ki-sung says. “DVD was not so popular, and we attracted about 300 people from the community.